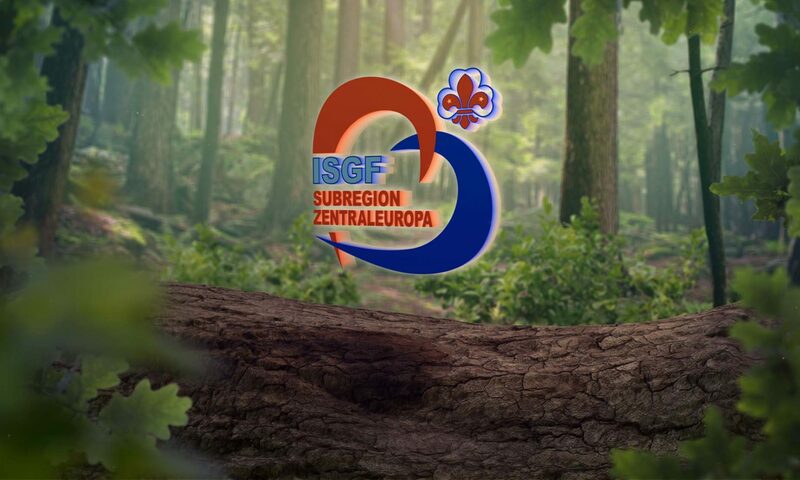 The Central Europe Sub-Region (CESR) belongs to the world organisation “International Scout and Guide Fellowship (ISGF) as part of the Europe Region. The Central Europe Sub-Region (CESR) consists of the National Scout and Guide Fellowships (NSGFs) of Austria, Czech Republic, Estonia, Germany, Hungary, Latvia, Liechtenstein, Poland, Rumania, Slovakia and Switzerland. All the member countries observe the constitution of the CESR. They shall be committed to furthering the adult Scout and Guide movement in the Sub-Region, in Europe and worldwide, through a team work built on trust. Membership of the CESR is open to other NSGFs in this geographic region, belonging to the The Sub-Regional Conference decides on the admission to the CESR. Resignation from the CESR shall take place through a written communication to the Presidency. to support the NSGFs financially for special projects. 2.2 The main obligation of the NSGFs belonging to the CESR is to help carry out the projects and planning of the CESR and support them in all areas. 3.1 The language of the CESR is German. During the Conferences another language can be used in translation. 3.2. The symbol of the CESR are two semicircles in the colours of ISGF red and blue, which are joined to a heart as symbol of the position of the sub-region right in the heart of Europe. The inscription reads: in blue “ISGF” and in red “Central Europe Sub-region”. Top right shows the ISGF emblem in the version currently in force. Likewise, the two semicircles create a circle, the symbol of friendship and team spirit. 4.1 The main authority of the CESR which decides on the rules is the Sub-Regional Conference. Member recognised by the ISGF as Full Members are entitled to send four delegates to the Conference; members recognised as Associate Members are entitled to two delegates. * deciding on the dissolution of the CESR and the disposal of its assets. 4.3 The Sub-Regional Conference meets at least once every three years. The organisation will be ensured by the host Member country with the involvement of the Presidency. 4.4 The invitation with an agenda to a Sub-Regional Conference has to be submitted to NSGFs at least three months before the beginning of the Conference. 4.5 The Conference is valid if more than 50% of the Member countries are present or represented. If this quorum is not reached, another invitation may be made on the spot for another Conference to be held on the same day and at the same venue. This rule has to be mentioned in the invitation. This Conference shall have no quorum. The Sub-Regional Conference decides by a simple majority. In the event of a tie the motion is defeated. 4.6 Every delegate is entitled to a vote. A Member country unable to be present at the Conference may give a proxy to another Member country. 4.7 The Conference is led basically by a member of the Presidency. If in exceptional cases the President suggests a different regulation, the Conference has the final decision. In the case of elections a person in charge and tellers may be appointed. The Conference can approve a rule for the agenda and the minutes of the meeting. 5.2 The Presidency may call on further persons for special project (such as an editorial staff). 5.3 The term of office of the Presidency is three years. Re-election is allowed. appointment of a successor if a member of the Presidency resigns. The appointment is effective until the end of the term of office of the member replaced. 6.1 The Sub-Regional Conference shall elect two auditors at the time of elections. They will check the accounts at least once during their term of office and report to the Sub-Regional Conference. 6.2 Should one auditor resign during his term of office, the Presidency may appoint another in agreement with the remaining auditor.